Indian Engineering Services (IES) exam is conducted by the Union Public Service Commission (UPSC) of India for recruitment of engineers who can perform the technical and managerial functions for the Government of India (GOI). The civil servants and officials are recruited on the basis of merit and the middle-level management positions in the administration are filled through competitive exams. A combined four-stage competitive examination (of 6 tests), called the Engineering Services Examination (ESE) is conducted by the UPSC for recruitment to the Indian Engineering Services for the following categories of engineering - Civil, Mechanical, Electrical, Electronics, and Telecommunication. The candidate must be a citizen of India or of Nepal or a subject of Bhutan. The candidate must be of age between 21–30 years on the 1 August of the year of Engineering Services Examination (ESE). However, there are some relaxations in the age limits for candidates belonging to categories other than general for IES. The IES test is conducted in June every year at different centers across India in many cities. The dates for IES exam are announced online at the beginning of the year. 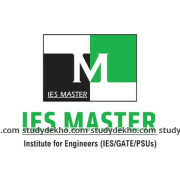 The IES exam is conducted in 3 stages- Preliminary, Mains and Interview. 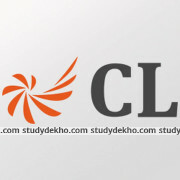 Stage I consists of 2 objective type papers. 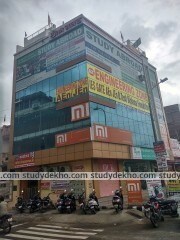 Paper I (General Studies & Engineering Aptitude) is common for all candidates and is of 2 hours duration (200 marks). 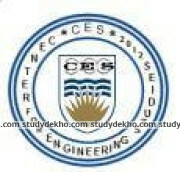 Paper II (Engineering Discipline) is of 3 hours (300 marks). Stage II consists of 2 conventional type papers. Both the paper I and paper II are two different engineering specific discipline papers of 3 hours duration each (300 marks each). The candidates who are able to clear both the preliminary and the main exam are called for the interview (200 marks). 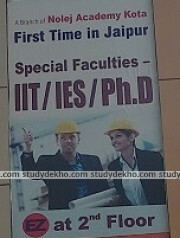 IES remains the most sought-after careers for the engineering graduates in India. It is therefore considered as the toughest exam in India and amongst the toughest in the world due to less number of posts and its technical nature. Mostly the toppers of this exam are graduates of institutes like the Indian Institutes of Technology (IITs) and Indian Institute of Science (IIS). Because of the difficult selection procedure, IES officers hold high respect and importance in society and are able to manage activities in diverse areas. Since it is a government job, it comes with rewards in the form of various perquisites.